in 1925 in Ketchikan, Alaska married Ora Alta Bellah (1906-1992). She was 18 to his 46 years of age. 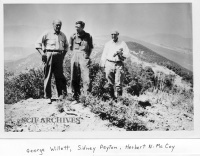 George Willett. 2123 Court St., Los Angeles, CA 1905. “...The more extended trips taken in this period included two expeditions to the Santa Barbara Islands and one to the coast of Lower California. The earlier of the Channel Islands trips was made in November of 1907, in a "delapidated fishing smack" with his old school friend, Clarence Linton, Linton's father [Horace], and a crawfisherman named "Coldfoot" Jorgenson. As described by the younger Linton (Condor, 10, 1908:124), this ten-day expedition was an exciting one. As is frequently true around the islands, the wind was strong, and the none too sturdy craft was twice saved from destruction on the rocks by the skill and quick-thinking of Willett and the Lintons. Once established in camp at Santa Cruz Island, however, they found the collecting good, and there was fine opportunity for observation. Willett's second trip to the islands was taken in June, 1910, with several other Cooper Club members, and on a more seaworthy launch. Two days were spent on Anacapa Island where nesting birds were observed and eggs were collected. Touching at Santa Cruz and Santa Rosa Islands the party went on to San Miguel where it was stranded for 14 days due to storms... ” (Condor 48:2(55) March-April 1946). 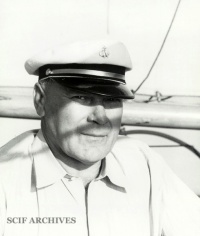 Willett participated in an expedition to find elephant seals off Lower California in 1912 with C. B. Linton aboard Flyer. He collected a Peregrine Falcon on Islas San Benitos on April 3, 1938 (LACM 86941). 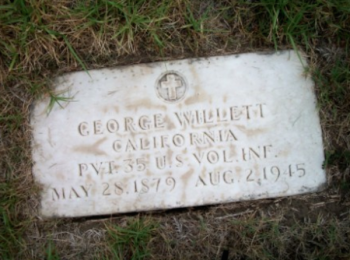 Willett died in Los Angeles on August 2, 1945 at age 66, and is buried in the Los Angeles National Cemetery. 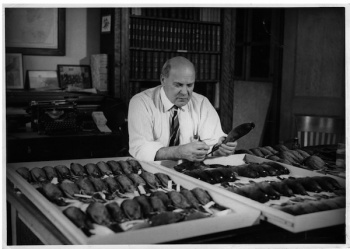 Copies of Willett’s field notes can be found in the library holdings of the Western Foundation of Vertebrate Zoology in Camarillo, California. This page was last edited on 9 April 2019, at 15:07.